Visions and values are important, but schools need something to draw all these elements together. Headteacher John Tomsett explains how staff and students can shape a core purpose. Your core purpose encapsulates why you get up in the morning to go into school to do what you do. Your vision articulates what your school will look, feel and sound like when you have got things just right. In order to move towards realising your vision you will have a very small number of ‘development strands’ in your school development plan, and within that plan you’ll have a list of more detailed actions for each of those strands. I’m sure more enlightened people can tell you the difference between aims and objectives, but I still get them awfully confused: I like the clarity of development strands and actions to achieve them. Lastly, your values will describe how people will interact with each other on a day-to-day basis as they go about their work, the thing that oils the school’s cultural wheels. Knowing the core purpose of your school is crucial to motivating your students and colleagues. You need a core purpose if you are going to unite the various and varied elements of your school to engender ‘collective mobilisation’. 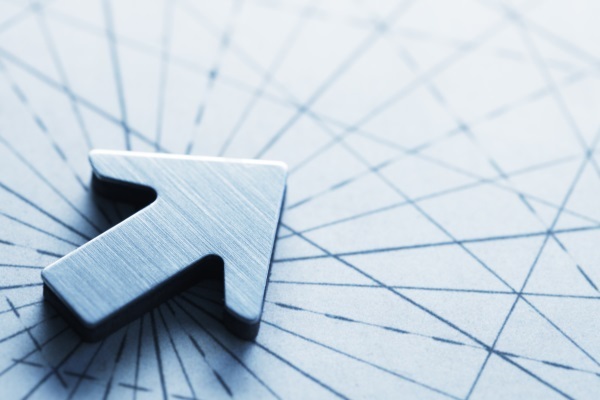 A core purpose sharpens your focus on what really matters, and sometimes a core purpose can help a headteacher make the most difficult of decisions. Fail to shape a core purpose and you lose the opportunity to place learning at the heart of things. Our core purpose at Huntington School is ‘to inspire confident learners who will thrive in a changing world’. It sounds like glib marketing speak but I assure you it was the result of six months consultation and contemplation. Its success is manifested in the fact that every single member of the school community knows it by heart. When developing your core purpose, begin with your staff – every single one of them. Your colleagues need to contribute their understanding of why they work at their school if they are going to unite behind the new core purpose. If you get the process of developing a core purpose right, when the caretakers are putting out yet another 250 chairs for the morning’s assembly they’ll tell you they’re helping the school fulfill its core purpose. After I explained why it was so important to my colleagues, we dedicated 90 minutes of one afternoon to working, in groups of eight, on alternative versions of our new core purpose. The main objective of the meeting was for us to collectively formulate an answer to the following question: What is the core purpose of Huntington School (in no more than twenty words)? From there we consulted the students who formulated another set of possible options for our core purpose. Our school leadership team then discussed the two lists at length and offered up to students, staff and governors twelve versions for consultation. We finally settled on: ‘To inspire confident learners who will thrive in a changing world’. Every word counts. We all strive, not just to teach, but to inspire our learners; building confidence is essential for all of us to succeed. We are all learners, including the staff; rather than just succeed we would rather thrive, which suggests that we are happy both in our career and in our relationships with other people. As technology advances, we find ourselves in an everchanging world. We did have ‘students’ but replaced it with ‘learners’. Many schools have a line about everyone being a learner, but we really mean it. Learning something helps you understand as a teacher what it is like to be a learner and to struggle at learning something. Teacher learning is central to our school’s success, and every single member of staff must accept their professional obligation to try to get better at what they do if they work at Huntington. We really worked on getting the wording of our core purpose absolutely right. It was pedantic stuff. The students chose the word ‘thrive’, where we had used the word ‘succeed’. I like the word ‘thrive’. Think about it – plants thrive when the conditions for growth are right. And I think the job of headteacher is to get the conditions for growth right in a school; when the conditions for growth are right, students and staff will thrive. As you can see, every word matters. It matters that ours has the learner at the heart of it. And it matters that everyone was involved in shaping our core purpose. That process took weeks and, while the creative process was messy, it was essential. Every chance you get to publicise your core purpose, publicise it! I know it’s prosaic, but good signage is worth every penny. Your core purpose should be one of the first things anyone sees when they access your website. 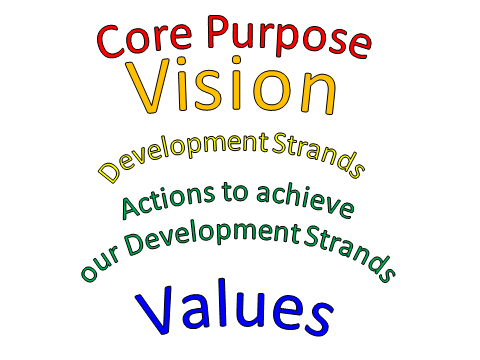 Why is a core purpose so important in your day-to-day running of the school? Well, when you have to make a big or difficult decision as a headteacher, you need to go back to your core purpose to help you make that decision. Most importantly, however, defining your core purpose allows you to put learning at the heart of everything you do – surely the main business of every school. Fullan, M., (2001), Leading in a culture of change, p. 9.